Well, the short answer is: LOTS. The entire Three Valleys has been hard at work this summer building a number of new pistes, ski lifts, fun parks and making other resort enhancements. 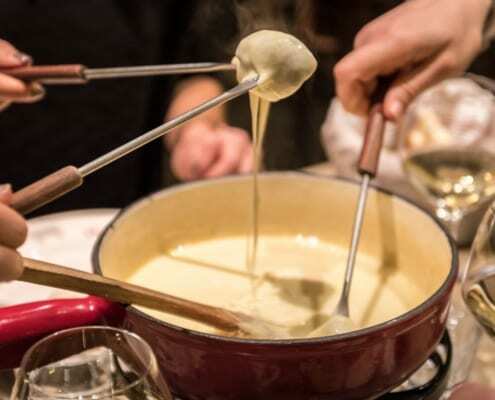 Whether you’re off to Courchevel, La Tania, Méribel or Val Thorens, you’re definitely going to benefit from some new improvements the resort has made this year. And we’ve got all the details. 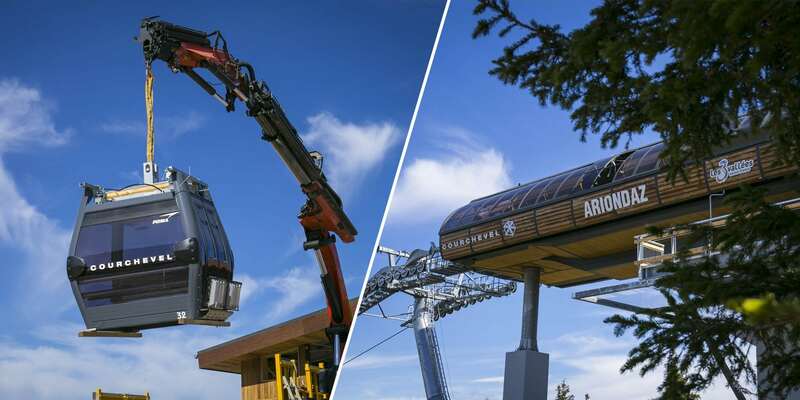 Over in Courchevel 1650 the main Ariondaz gondola has been replaced. Amazingly, the old gondola was 30 years old, and took 10 minutes to get up the hill. The new one only takes 7 minutes and can carry double the amount of skiers up the hill – 2,400 per hour. At a price tag of €13 million, you’ll be pleased to know it will be a comfy ride! They’ve used modern tubular pylons replcaing the old electricity-pylon style used previously. The two Roc de Tougne drag lifts that link to the new Combes 2 chair have been replaced with a Roc de Tougne detachable chairlift. Again, moving 2,400 skiers per hour this €6.3 million chair is a huge upgrade. 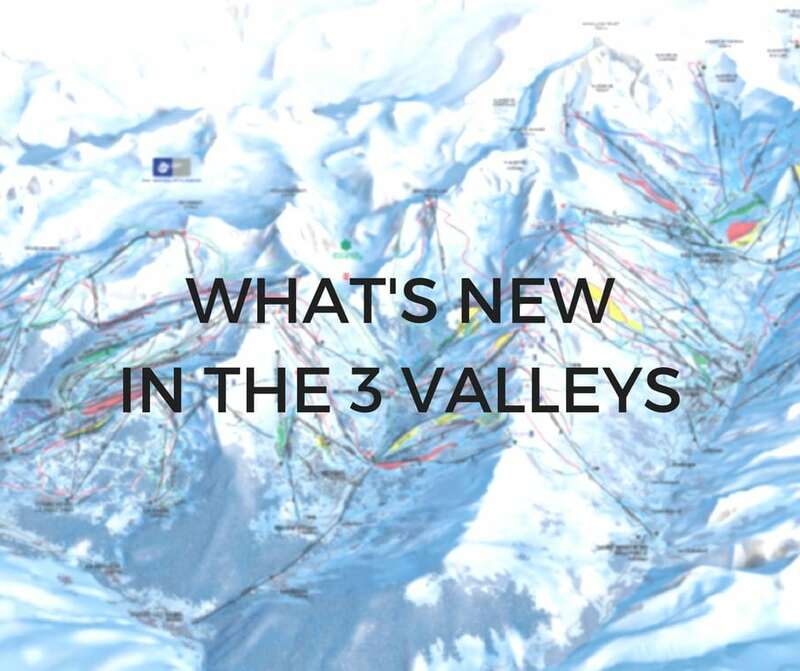 This will make it easier for people to move around the valley and offer a second link to the Belleville Valley (currently it’s just Tougnette 2), and give access to awesome red runs Bartavelle and Lagopede. In the beginners area near the Rond Point in Méribel will be home to a new covered magic carpet. The beginners area around it has also been developed into an ‘Easy Riders’ zone making it a safer space. In Val Thorens they’ve replaced the Moraine chairlift with a new 10-seater gondola for a mere €13million. Offering more warmth and comfort, the gondola will take 2,800 skiers per hour providing access to the Col chair and the viewpoint at the Glacier de Thorens. 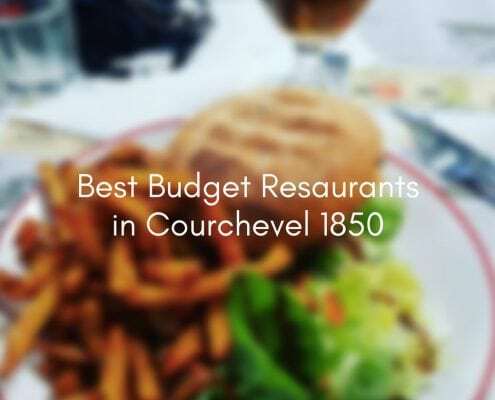 Photo used with permission from Courchevel Official. A new linking blue piste has been added to at the top of the Plein Sud area (near the Val Thorens Folie Douce). which will help skiers returning to Méribel and Courchevel at the end of the day. The run goes to the top of Val Thorens giving you a stunning view overlooking the village. Another new piste in Val Thorens, is under Peyron chair up in Orelle. They’ve added another blue piste for a different run option down. Coming back from Val Thorens, the Lac de la Chambre has been reshaped and regraded from a red to a blue piste, thus, making Val Thorens more accessible to intermediate skiers. 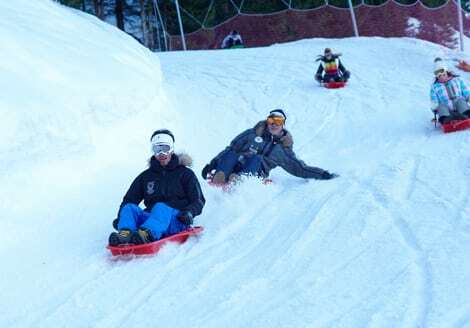 Spotted recently by our team is a new piste called Easy Way. It sits behind the Signal chair and offers another (short) route down. Courchevel 1650 has added a 3km toboggan run, starting at the top of the new gondola. Apparently it will have tunnels and turns and surely will be speedy – don’t forget your helmets and goggles for this family-fun activity. Méribel also added a new toboggan run, coming from the top of Tougnete 1 bubble all the way down to the Chaudanne. With the addition of both this one and the Courchevel 1650 run, that makes five total luge runs in the Three Valleys. The beginners area of DC AREA 43, Turn&Run, has seen some new additions. This area designed for skiers or boarders looking for an introduction into freestyle. New features include a ‘seal’ and snow bridge, mini-kickers and short, wide foes. 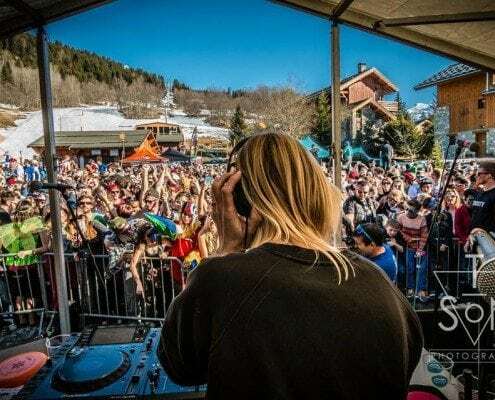 This season they’re doing away with the half day passes for the 3 valleys, which limited which hours you could ski, and have introduced a 4-hour lift pass. This can be used at any point during the day and will cost €54,50. Yep, 115. They’ve installed these new snow cannons in 8 different zones around the Three Valleys, which will cover high-traffic areas (including the bottom of La Tania’s green run, Plan Fontaine). Along with that, they’ve extended to the snow cannon reservoir in Méribel to provide water for all these extra cannons. Safe to say that the Three Valleys is striving to keep their promise of the most pistes open in Europe. They have built new rest area cabins along the mountain which include free WiFi and mobile phone charging points. These are situated at the Yeti Park in Mottaret, the mid-station of the Saulire Express Gondola and at the top of Col de la Loze between Méribel and La Tania. They’ve also added a rest area at the DC AREA 43 park in Mottaret. 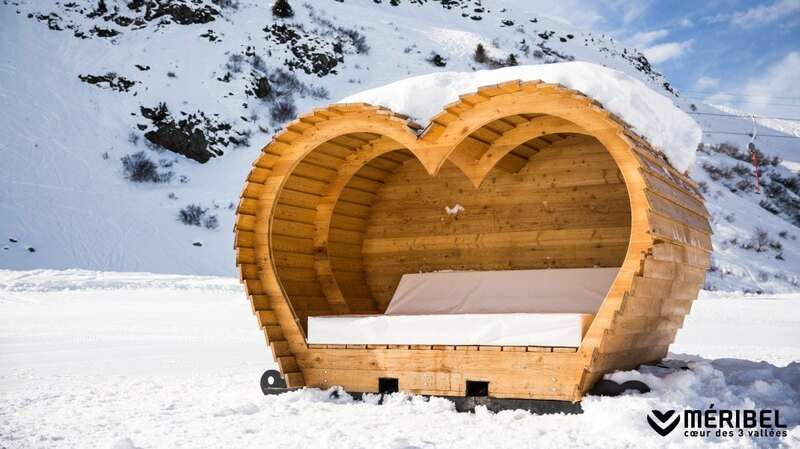 You’ll also find some new heart shaped covered sofas around Méribel, foam benches at la Chaudanne and the Altiport and dragon hammocks on Pic Bleu. Next up for development in Courchevel is near the Aquamotion Centre, which is expected to include a gondola, 2 pistes and an apartment complex. They are also planning to renovate the Le Praz gondola station to include an underground parking garage, medical centre, kids play area and more. Along with that, they plan to extend the Praz gondola up to La Croisette in Courchevel 1850. Construction of a 6-seater Moretta Blanche chairlift is set to replace the current drag lift of Gros Murger, connecting right up with the Bouc Blanc chair. There is also still talk about a new ‘Moretta Village’ being developed in the current car park. It’s dependent on the new lift being put in, as well as other factors they need to consider. But La Tania could be looking at 990 more beds, 2 more restaurants and lots more within the new village. The next stages of development in Mottaret are set to be renovation of the Mont Vallon Gondola and replacement of the old Plattières 3 bubble. Although we do love that retro look of Plattières…! 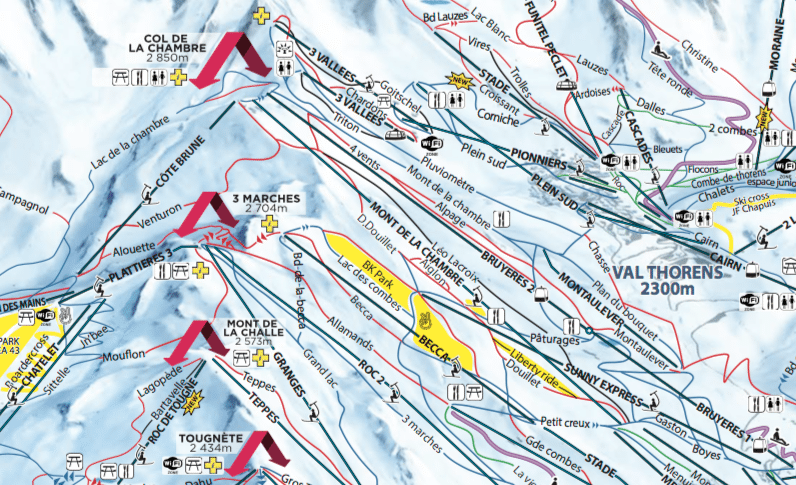 There are chats about a possible lift from the bottom of Plan de L’au lift in Val Thorens towards the Dame Blanche black piste. As well as a possible link between the bases of the Caron Cable Car and Grand Fond Funitel. We’ll see if either of these come about. WHEW. Lots of new improvements – it’s great to know that one of our favourite area’s to ski puts so much effort into enhancing the resort, and continues to make it better and bette for all of us to enjoy. What more could you want?